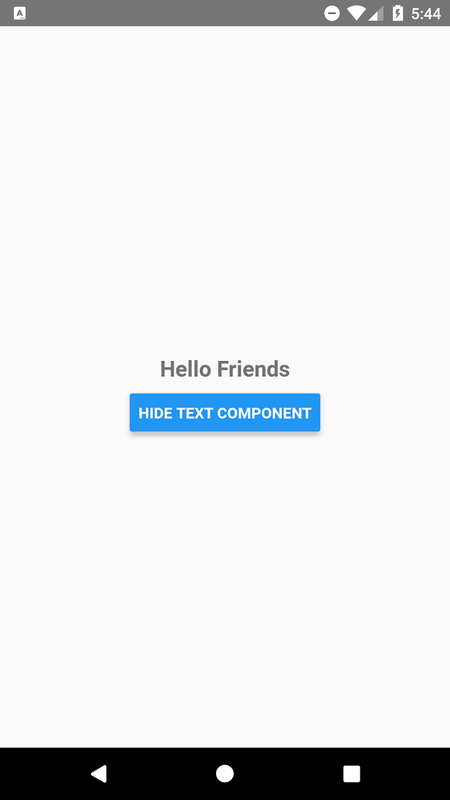 This tutorial explains how to hide and show Text Component in react native application on button click. Hiding and showing any component in react native application is very easy and simple, just we need to use state object in react native component. Here in this example we are using content as state object with the helps of this we are displaying and hiding text component data in android or ios device screen. 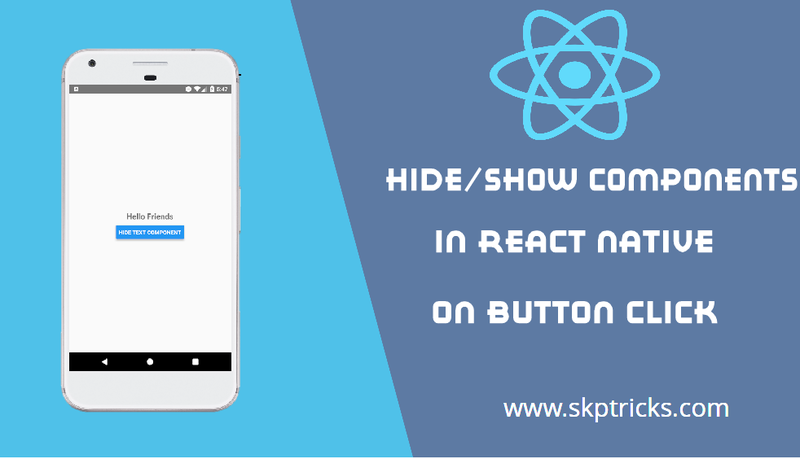 Lets follow the below steps to hide and show text component in React Native on button click. Step 4 : Create constructor in your App class with props parameter and Create super method with props parameter in constructor. Now using this.state we are defining the content item inside the state object. Step 5 : Create a function named as componentHideAndShow. 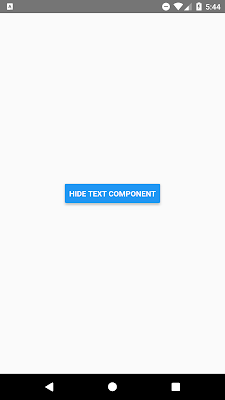 Using this method we are hiding and showing text component inside the View Component layout. Step 6: Open App.js component and and Implement render method. 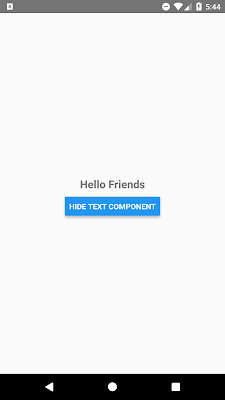 With the help of state and ternary operator we are hiding and showing content for text component. // Display the content in screen when state object "content" is true. // Hide the content in screen when state object "content" is false. Step 7 : Apply the below style sheet design. 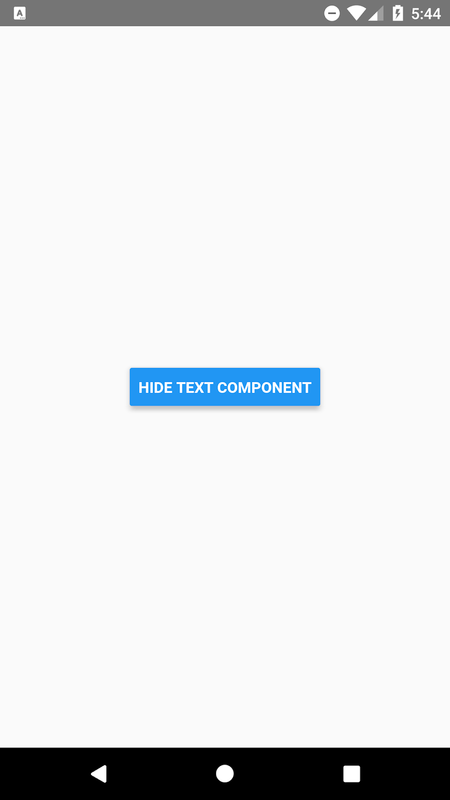 Lets see the complete source code that helps to Hide and Show View Text Component in React Native Application on button Click. This is all about Hide/Show components in react native. Thank you for reading this article, and if you have any problem, have a another better useful solution about this article, please write message in the comment section.